EL CAJON, Calif. -- While warming up on the driving range before your round on the Oak Glen Course at Sycuan Resort, it might be a good idea to hone your ball-shaping skills. 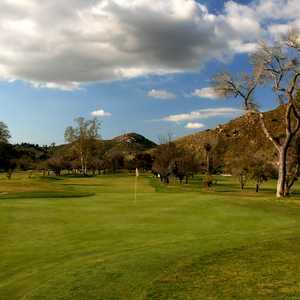 Sycuan Resort's traditionally styled Oak Glen golf course in El Cajon. 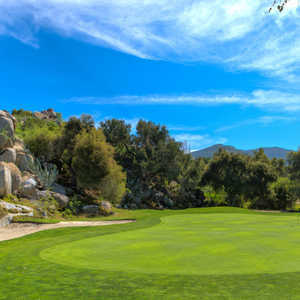 Draws, fades, hooks, punch shots, they're all going to be needed at Oak Glen, one of two classically designed courses at Sycuan Resort in San Diego County. Set on 425 acres, the facility was formerly Singing Hills Country Club and dates back to the 1950s before the Sycuan tribe bought the land and turned it into the resort it is today. More than probably any other San Diego golf resort, Sycuan has a little something for everybody. During the winter months, a golfer from the snowed-in north will show up here and revel in the options. Along with Oak Glen, there is another full-length, 18-hole course, Willow Glen. For something shorter, there is the 18-hole Pine Glen executive course. As for practice facilities, golfers can use the full driving range, numerous putting and chipping greens, a practice bunker and even two practice holes. You can spend all day playing some form of golf -- then rest your head at your hotel room on site and wake up the next morning and do it all over again. The limitless options are a big reason why San Diego State University's golf team calls Sycuan home. These collegiate players will certainly learn how to shape their golf ball by playing Oak Glen. With narrow, tree-lined fairways and smaller, country club-sized greens, this is old-style golf. Big hitters who aren't confident with the accuracy of their tee shot will be in for a long day. Originally opened in 1956, it was redesigned by Ten Robinson Sr. in 1980 and Dave Fleming in 1991. But like next-door Willow Glen, Sycuan's Oak Glen course still takes on a classic feel. The opening hole is straight, but trees encroach the fairway so tightly on the right that a fade is the necessary play off the tee. Next up, the second hole is a sharp dogleg left, demanding a firm draw. Then, on the par-3 fourth hole, a right-hand pin location will require either a fade around a tree or a high enough shot to go over it. Miss this shot, and you're in the water that guards the front and left side. Willow Glen has a few more spectacular holes than Oak Glen, thanks to a few more elevated tee shots. But that isn't to say the holes at Oak Glen aren't interesting. In fact, there is a fantastic stretch of holes on the front nine, starting at the par-4 fifth hole. It's a long par 4 that plays over and along the river and funnels to a green that sits tightly squeezed between the mountainside and the river that bisects the valley. The par-3 sixth hole plays from the course's highest spot and heads downhill. Drink in the view, because on the seventh tee, you might ask yourself if you've taken a wrong turn. You can't see any fairway at all. Instead, you have to hit and hope from an elevated tee over a cluster of trees to a fairway below. Thankfully, this is one of the course's larger landing zones, so don't tense up too much. The course's best holes are mostly on the front side, but the back nine plays tougher thanks to nearly 600 more yards in length. It culminates with a 531-yard par 5 that heads straight back toward the clubhouse. Afterward, the decision will have to be made just which of the golf options should be done next at Sycuan Resort. It's tough to play only 18 holes with so much golf at your fingertips.